A girl will share the beet basics: How to roast beets. Roasted beets are delicious in salads, soups, or as a side dish. 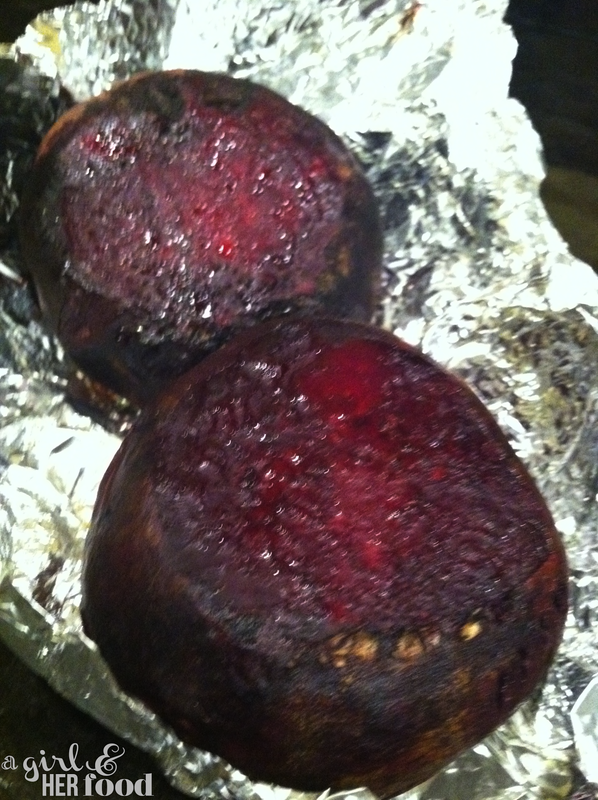 Preparation and roasting is simple and makes the skin of the beet so easy to peel off. The flavor of roasted beets is unBEETable. Start with beets that are firm. If beets come with their greens attached, cut them off, and discard. Rinse and scrub the beets clean. Preheat oven to 376 degrees. Place beets on aluminum foil. Drizzle beets with olive or grape seed oil. Fold foil over them and press the sides closed, creating a roasting pocket. Roast for about 30 minutes. Check the beets for tenderness. Larger beets can take longer to roast. When cool to handle, begin peeling off the skin with a paring knife or just your fingers. Serve beets as is or add them to a delicious salad with goat cheese, spinach and walnuts.